Hello, here are my July sample screen. On the server side, I’ve added the image of the caller from the Caller ID function, added also the last time the motion sensor was detected. 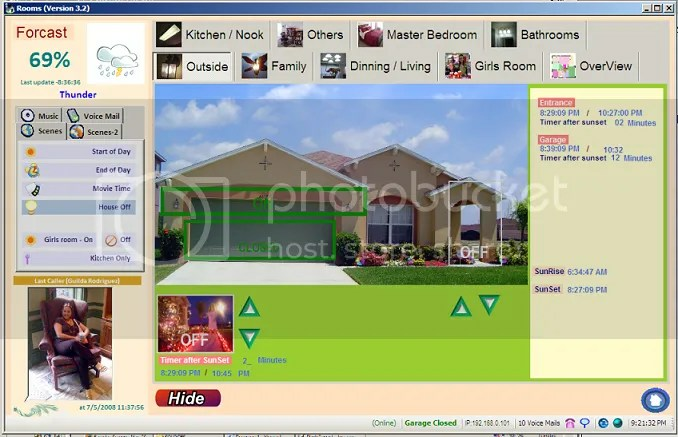 Garage door status (Which can be clicked also and opened remotely), Radio status, PC stereo speaks which turn off each night a midnight and turn on at sunrise. And my talk module sample. A sample of the CLIENT. I replaced many of the buttons with TABS so all in contained in one screen. Also notice the new tabs on the left for the Scenes, Music, Voice mail and others. Also the main screen now contains the last time motion was detected in various areas. The outside tab now contains more detailed information of the exterior, right off this screen I can modify the time after sunset the entrance and garage lights will turn on, as well the group I have setup for decorations. 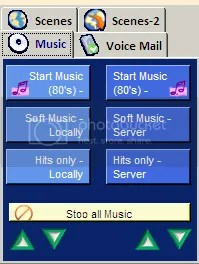 Here is a close up of the Music tab, options allow you to select to play on the server or on the client. I explain how to do this here. 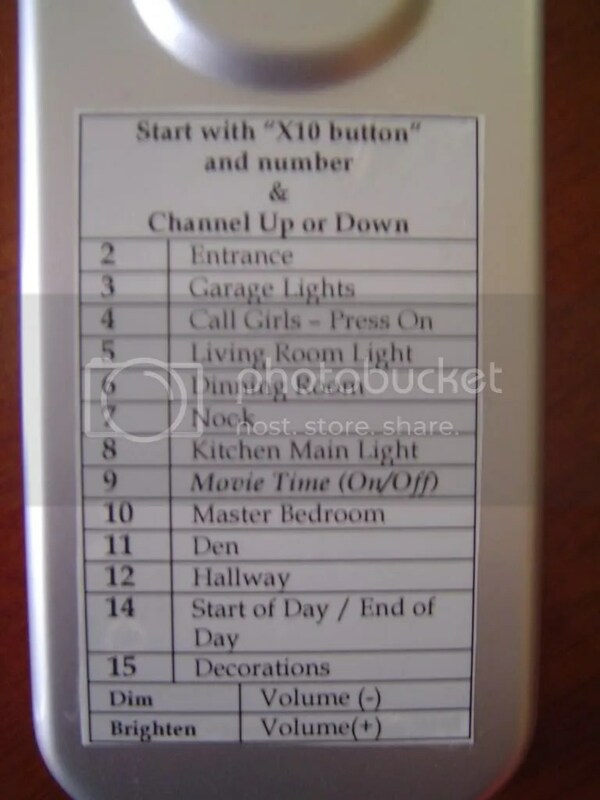 I’ve also done some changes to my master remote here are the options Ive programmed on it now.